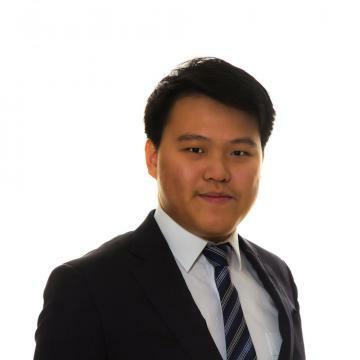 Having graduated from UWA with Masters of Commerce Degree, Samuel Ling has developed a strong interest in property market and sales. Samuel has been involved in property investment and development for over five years, with a developed knowledge especially in residential real estate. Samuel too has over three years experience managing a business in Retail Industry. From this Samuel has developed a strong communication skills and believes that good communication skills is essential in the real estate industry. One of the advantage Samuel has is the ability to speak multiple languages including English, Mandarin, Cantonese and Malay. With sound knowledge of local property market and the passion to serve clients for their real estate needs, Samuel will be of good assistance to you to find your next home. Look forward to say Hello and assist you for all your real estate needs. Have you ever thought of living in a big family home, with spacious living area and large backyard for the children to play? Are you struggling with living space and storage problem? Have you had a new year resolution to own a property or a home that can accommodate every family member? If you have ‘Yes’ in all the questions above, then your wait is finally over. Welcome to 10 Munich Link, Piara Waters, a large family home for sale, well situated at the heart of Piara Waters. MUST BE SOLD! ALL OFFERS PRESENTED! Breathtaking, modern and elegance are the three words to describe this home. Immaculately presented, just within short walking distance to Piara Waters Pavillion, Harrisdale Shopping Centre and Piara Waters Primary School. Do nothing but move into this home that equipped with everything you need for a contemporary living such as paved alfresco area, fibreglass swimming pool, feature wall and tiles, wood-fired heating, 3 large bedrooms, study room and theatre room with potential to convert into the 4th bedroom. Quiet street and facing an open parkland, this home has 4 bedrooms and 2 bathrooms. Proudly presenting this quality built home which includes four bedrooms, two bathrooms, as well as separate Theatre Room, Study Area and Activity Area! With just over 220 sqm of living area and 280 sqm total built area under the roof, this modern home will suit family that requires more functional space in their home without worrying about “home is too small” issue for growing family. Hightlights of the Home: Double Door Front Entry. 600x600 large porcelain floor tiles to living area. The Perfect Family Home, nested on the huge block! Presenting 128 Forest Lakes Drive, a well maintained, freshly painted spacious home on a huge 680 sqm block is simply a RARE GEM nowadays. Situated just within minutes of walking to opposite Forest Lakes Forum where all the groceries store, cafes and eateries are, Forest Crescent Primary School, as well as bus stops are just a short stroll away, this home is both perfect for its functionality and convenient for its location. elcome to Stockland Calleya Estate in the new suburb of Treeby. Here, you are within 5 minutes to Cockburn Central Train Station, 7 minutes to Kwinana Freeway, 10 minutes to Cockburn Gateway Shopping Centre and 15 minutes to the new Cockburn Recreation Centre. Introducing 8 Citrine Street, Treeby, well positioned at the heart of Treeby, opposite playground with in-ground trampolines, climbing structures, slides and swings. With parkland just at your doorstep, this easy care home could just tick all the boxes for your next home! This 3x2 home features ducted reverse cycle air-con with separate zones, an extra study/computer area and open plan kitchen, dining and living. Easy care garden combined with paved alfresco makes a perfect spot for a weekend barbeque or just chilling out under the sun. Calleya Estate in the new suburb of Treeby is developed with architecturally built parkland and family-friendly walkway. With the new town centre up and coming, this suburb will be the new home for young and growing families. Built in year 2010, this large family home is on the market for sale! This home features 4 large bedrooms with build in wardrobes, bathroom with separate toilet, enclosed huge size theatre room, activity area which can be converted to study area, master bed room features a double sided walk in wardrobe and a spacious en-suite.